Wondering where the best place to buy indoor plants online is? I know I was when I moved to an urban area that didn’t seem to have a plant nursery or garden center anywhere nearby. I wanted cheap plants but didn’t want to spend hours driving to find them. So I decided to see if I could buy house plants online. I honestly never thought about buying plants online. How would they get to me without being dead or broken? Wouldn’t they be more expensive? And I probably wouldn’t be able to find the house plants that I really wanted. If so, you’ll be surprised at the best place to buy indoor plants online. And I bet you’re already shopping there anyway! Surprise! 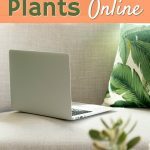 Here’s the Best Place to Buy Indoor Plants Online! You buy tech gadgets, pantry staples and even fashion there. So why not buy indoor plants online at Amazon, too? Yep, that’s right. Amazon sells indoor plants online. I have to admit, I searched for indoor plants online at Amazon on a whim. It was more like a joke, really. You can imagine my surprise when a list of indoor house plants actually came up for sale! I wanted to see what it was like to order plants online. Would the plants arrive dead? If not, would they actually live for more than a couple weeks? So I ordered a multi-pack of air purifying plants for your home. These are some of the best bedroom plants for improving your sleep. I’m always looking for easy ways to help you to add wellness to your home with simple shopping tips and easy life hacks. 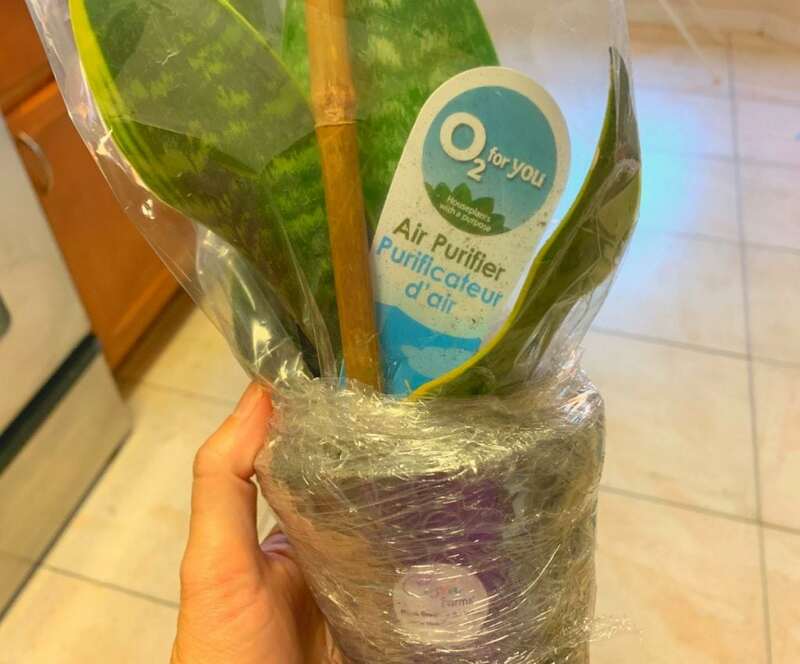 Buying air purifying plants on Amazon was something that I wanted to try out to know if I could recommend it to you as a smart idea for a healthy home. Living in Florida, I did not want to try to buy indoor plants online for the first time in crazy heat and humidity. After all, Vitacost won’t even send me chocolate food in the mail most of the year because the heat of the area melts it as it is being shipped. I ordered inJanuary, when the temperatures are mild, but still not cold (70-80 degrees). I’m not sure what I expected when ordering Amazon indoor plants. But I was pleasantly surprised! The box was super tall for four small plants. I guess this was to prevent the plants from being crushed. The plants came in very good condition. In fact, only one leaf of one plant was torn, and it could have been like that before being packed up. I waited for at least a month to see if the plants would survive and thrive. And they have! They have grown so well that I needed to repot all of them after 4 weeks. The plants are strong and healthy. And these particular four indoor plants purify the air and remove toxins inside. Buying plants online can be expensive when factoring in the cost of shipping and packaging. 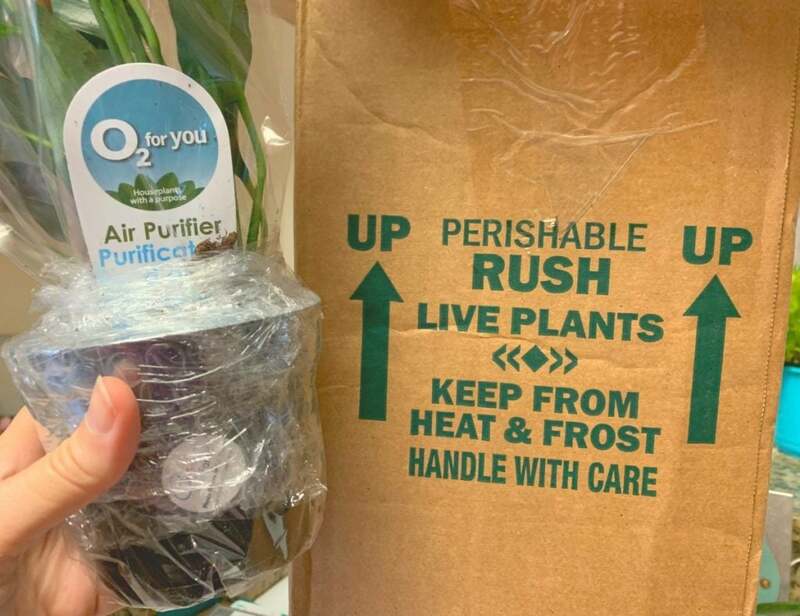 Because it takes a lot of care and delicate packaging to keep live plants healthy and not damaged when being shipped in a box. If you want to keep costs down, you will want free shipping from your online plant nursery. Which is why you might want to buy indoor plants online through Amazon. Many of these indoor plants are available with Amazon Prime. Which means you don’t pay extra shipping and handling fees but still get fast service. Which makes this website a best place to buy indoor plants online. How Do the Prices Compare to a Plant Nursery? 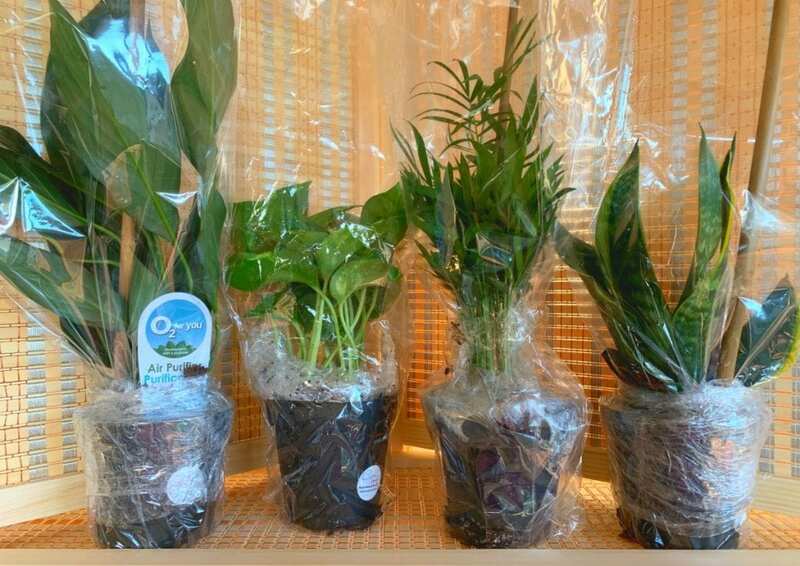 These four air purifying plants averaged $7 each, with shipping included. Could I have bought them cheaper in a garden center or plant nursery? Maybe. I’ve seen plants this size range from $5-7, depending on where you are shopping. I don’t think that I ever would have found plants this size for $4 or less, at least in the urban area where I live. Considering I wouldn’t have gone out to buy these plants because the garden centers are so far away, buying indoor plants online with Amazon was a great value for me. I believe that the best place to buy indoor plants online, for people who want to purify their indoor air or add a bit of nature to their home, is on Amazon. As you can tell, I love my house plants! Be sure to check out my helpful tips on how to clean houseplants so that they purify your air as best as they can. Also, if you are repotting a plant (watch my video on how to repot a house plant), you might encounter fungus gnats in the potting soil. Here’s how to get rid of fungus gnats. 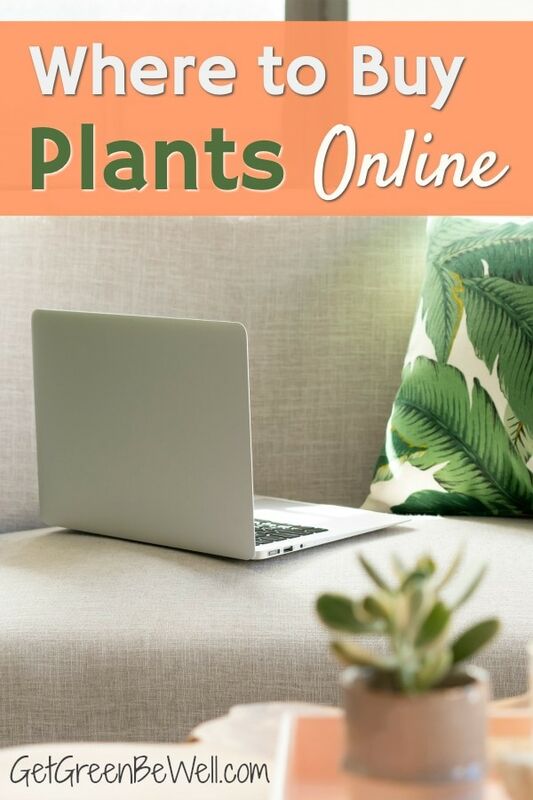 Make sure to sign up for my FREE houseplants course! 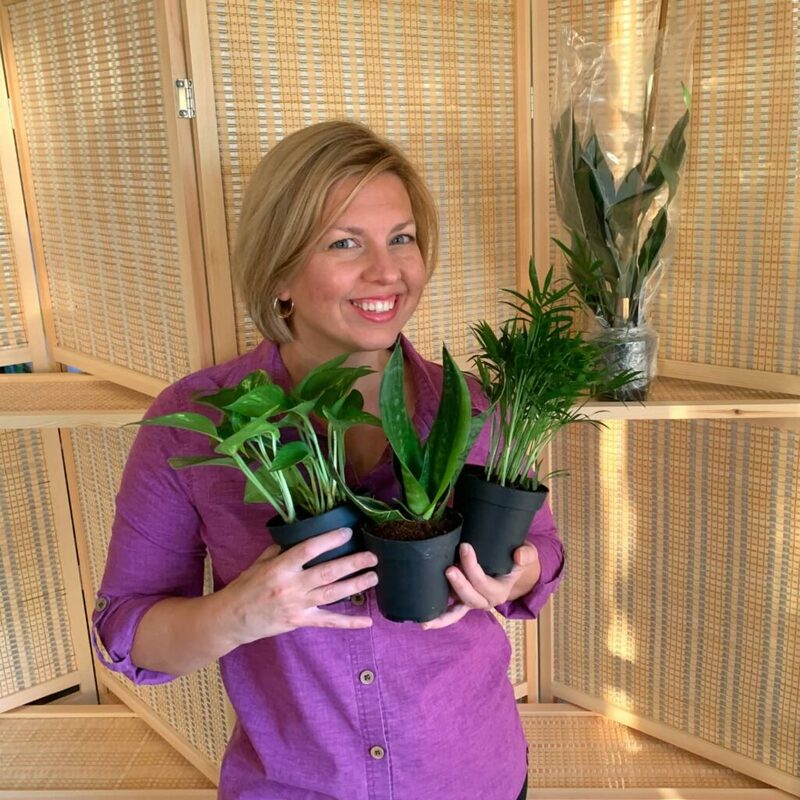 This in-depth course will show you three amazing indoor plants to buy that are perfect for beginners, plus how to take care of them. Get my course Best Plants to Detox Your Home right now! I LOVE your shirt in this video. Where did you get it? What’s the brand?